Solution architecture, User interface design, development, integration & testing. 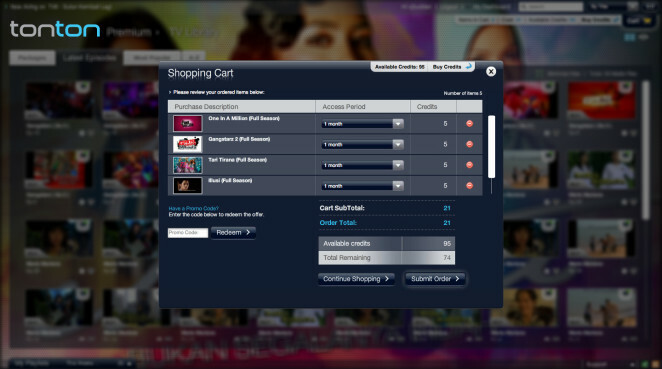 Tonton IMP catchup TV service for Media Prima Malaysia. 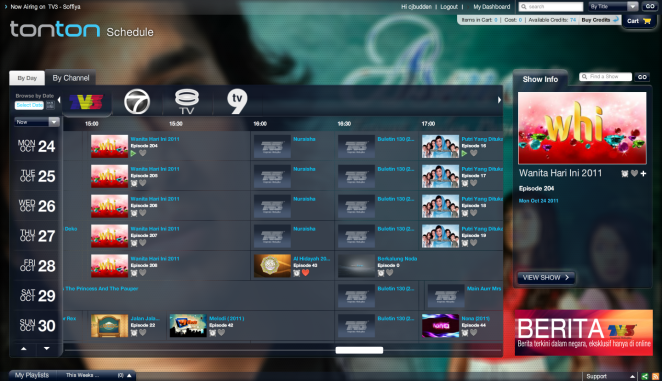 Boom Labs developed the protoype Interactive TV application and a streaming media publishing system (CMS) for Tonton. The CMS capabilities provide publishing workflow, user management, related content, UGC, reporting and multisite management.